Did not make it into the sewing room until late Friday night. BUT I had good reasons and some of them have to do with sewing. See this big pile of fabric? I was alerted Friday morning that a warehouse in town was having a yard sale and selling fabric for $1. We’re not talking Wal-Mart fabric here, folks. They had Free Spirit, Amy Butler and many other designer brands. Because of my current car situation, I was not able to be there right on time. That meant I had the place to myself, but also had seconds dibs on the fabric. However, I am still pleased with the haul I was able to get- over 27 yards for $24! I figure that amount would have cost me close to $300 at retail price so I’m feeling very thrifty right now:). When I got home from all my errands, I had about 30 minutes before my company arrived, so I ran into my sewing room and frantically tried to get something done. I ended up finishing one bib and almost finishing another. Not a huge accomplishment, but every bit helps right? 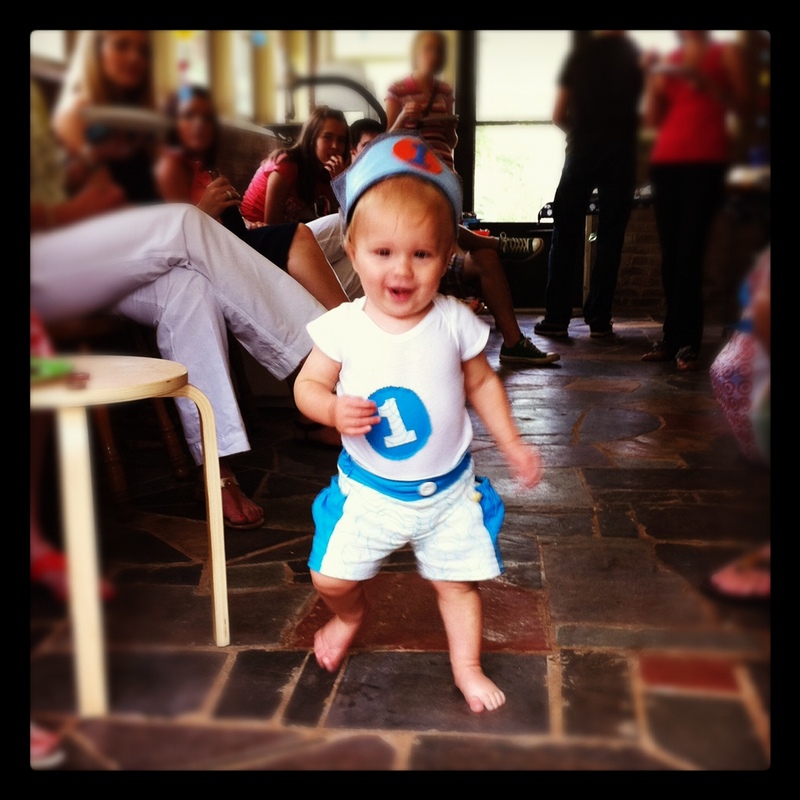 Day 6: Little Man’s 1st birthday party today- no sewing done, but I’ll let you enjoy some pictures of him in his mama-made birthday outfit. 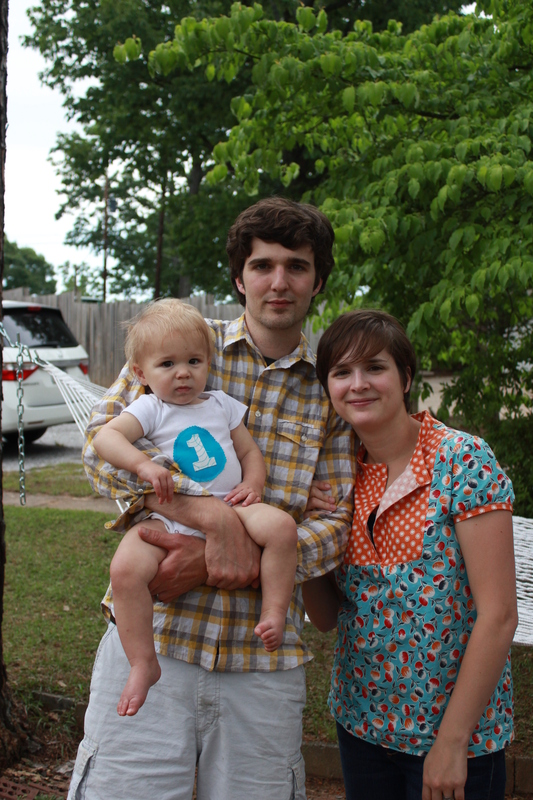 Our little family! Mama’s got her handmade Tova on too:). 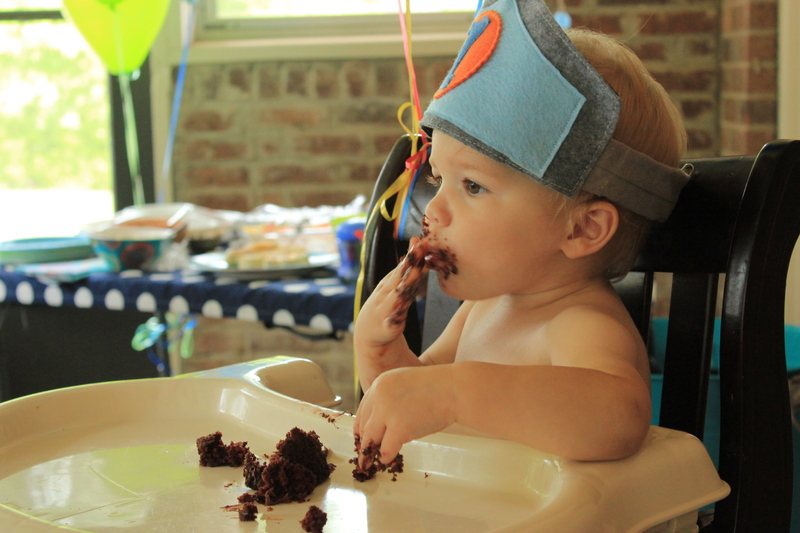 Birthday boy’s outfit made earlier this week: Treasure pocket shorts, Appliqued onesie, and felt birthday crown. I finished up my bibs today. 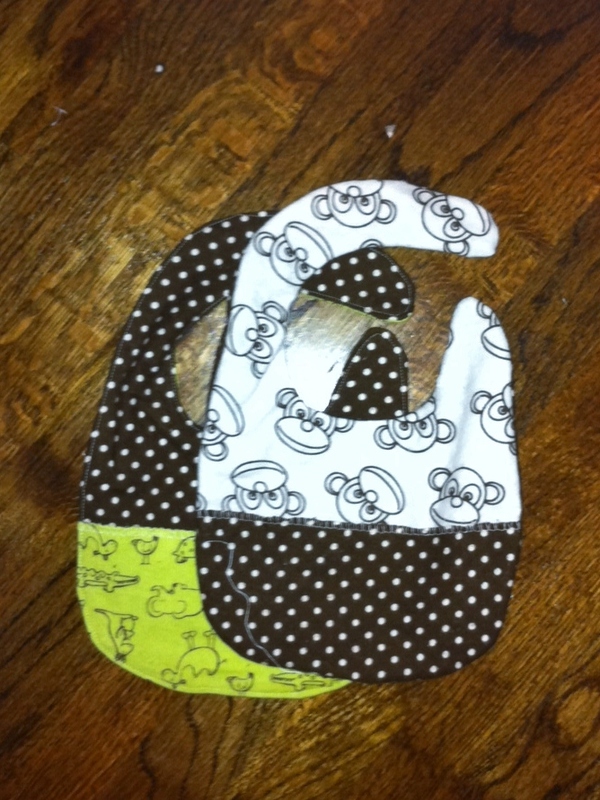 I started with the pattern from Lotta Jansdotter’s Simple Sewing for Baby, but ended up creating my own. (somehow, I can never keep with patterns and must always tweak them!) The flannel I was using was too thin for a single layer bib so I cut out a coordinating backing for each bib, sewed them right sides together, flipped them right-side-out, and then top stitched over the entire bib. I then stitched velcro on for closures. 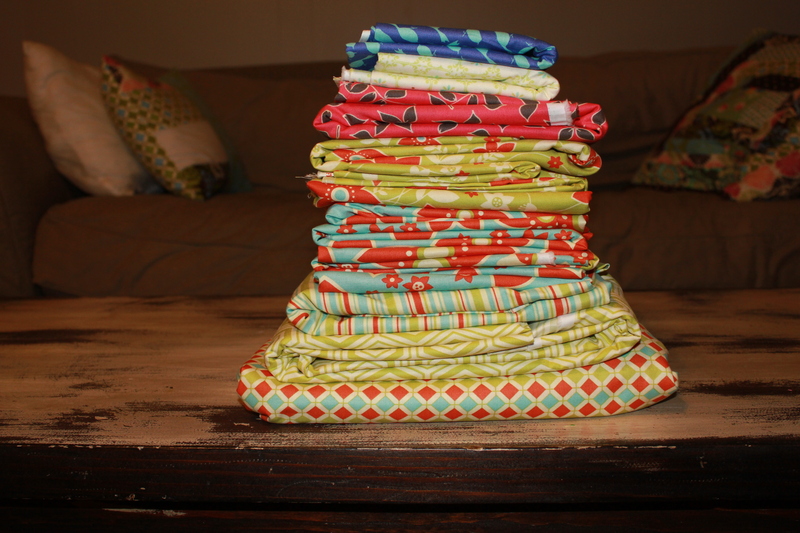 I am very happy with how they turned out- the flannel is soft but now more substantial. The pocket adds a nice touch. 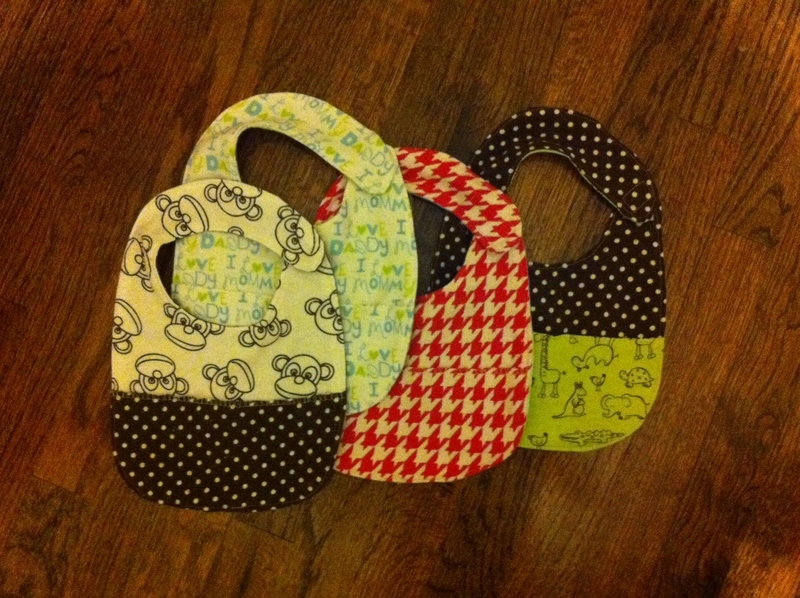 The bibs are definitely on the small side and will only work for newborns. I think I may make more in graduated sizes so when I give them as gifts, I will have a variety pack to gift. Excuse the less-than-stellar phone picture. It’s too late to get out the nice camera. Final project update: coming Monday. This entry was posted in Clothes, Kid sewing and tagged clothing, lotta jansdotter by oliver's fancy. Bookmark the permalink. I love the birthday crown, what a cute idea!